Over 50 Grease Guardians have been installed in sporting venues and football stadiums in Russia. Grease Guardians have been a key piece of equipment at sporting venues across the world but as the world heads to Russia for the football not all the grease they leave behind will end up blocking pipes thanks to the inclusion of Grease Guardians automatic grease recovery devices. It is not the first time Grease Guardians have been used at sporting arenas used at major events. Today’s modern stadiums come with multiple food outlets and catering for thousands of visitors and not just on match days but almost every day of the week. Stadiums must operate without issue on game day and no operations manager wants to find their pump station failing when sixty thousand spectators are in the facility. Keeping grease out of the lines is critical and the Grease Guardian is an assured way of achieving this. 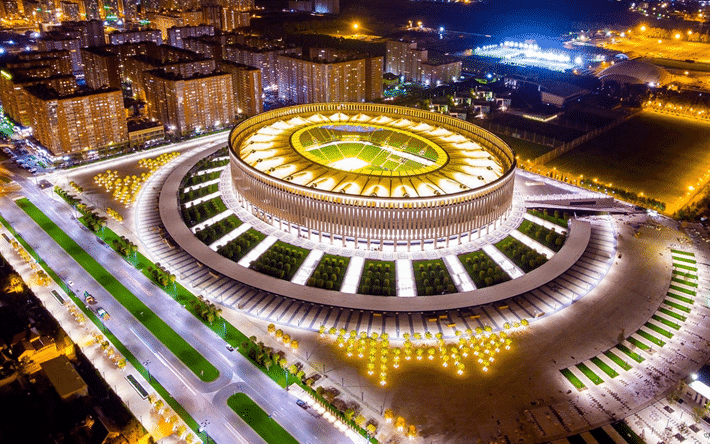 The spectacular brand new stadium at Krasnodar and surrounding facilities will host former World Cup champions and tournament favourites Spain. Any grease the Spaniards might thrown down the drains while the prepare for the competition will be picked up by one of over 30 Grease Guardians at the complex.